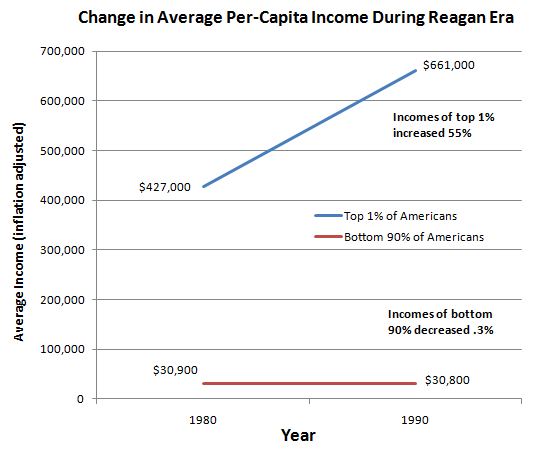 Ronald Reagan could have been a champion of progress. Instead, he chose to reward the richest and do nothing for ordinary Americans. That’s his legacy. Reagan came into the presidency with amnesia and left with amnesia. Despite all the soap boxes that he is put on by Republicans, Reagan was the start of putting our nation into huge debt. He took care of the rich and crapped on the poor. Reagan could not even make it as an actor, he failed miserably. Couldn’t agree more, except on the acting front – “Bedtime for Bongo” was a classic movie!